By the time I met Xylon I had plans about who I was going to marry. He was going to be tall, dark and handsome. And Xylon is only two of those things: handsome and dark. When I met Xylon I didn’t know if I could spend the rest of my life looking down to a man. But Xylon didn’t care. He took a risk. He fought for me. He romanced me (still does). Poured out his heart over an untouched meal and asked me to consider spending until death with him. And I found height doesn’t matter as much as heart. Then Xylon asked my father if it would be okay for him to marry me. My parents weren’t sure it was a good thing for people with different skin colours to marry. And for the first time in our relationship we had to decide if our love was worth fighting for. We prayed and we fought. We stood up for a world in which the caramel coloured children (we may) some day have can be embraced by both sets of grandparents. Together we fought for love, and with love, and because of love. Three years later we stood beneath a well-rooted tree, and repeated our vows after my father, and we thought (and prayed) that our fight for love would be over. We looked at each other with the eyes of newly-weds and believed our biggest battles were behind us. Eight months into matrimony and we sat before a doctor as he ran through dread diseases my husband might have. A week later the tests showed - without a doubt - he had cancer. We had another battle to fight, another moment to decide if our love was worth fighting for. We’ve spent the last two-and-a-half years between hospitals and doctors and scans. We’ve experienced the joy of completing chemo and the despair of being told the cancer is back. I’ve brushed handfuls of my husbands’ hair off our bedding, held him in the middle of the night when he’s shaking from a fever and left the room when he’s received a bone marrow biopsy. But we have never stopped fighting. And that’s okay because I believe that if something is worth having it is worth fighting for. And love is worth having. And love is worth fighting for. When I feel like giving up, backing down and walking away I think of Jesus. I think of how Jesus fights endlessly and tirelessly for us. How he never stops, even when it means going to hell-and-back – he does it. 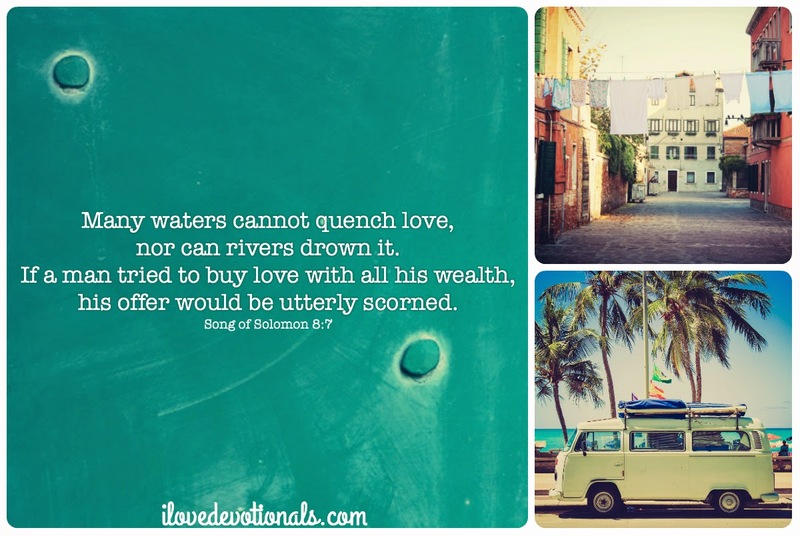 Jesus fights for me – for life, for love – even when I don’t acknowledge him or want him too. And that makes me want to love like that, to fight for a love like that, to give my life for a love like that. There is sacredness in fighting for another, battling side-by-side with someone for something that matters. Sometimes when I’m putting pressure on my wounds, cleaning our cuts and reeling from pain, I forget that I am fighting, battling for something that matters. I forget that we are not fighting each other but fighting together. 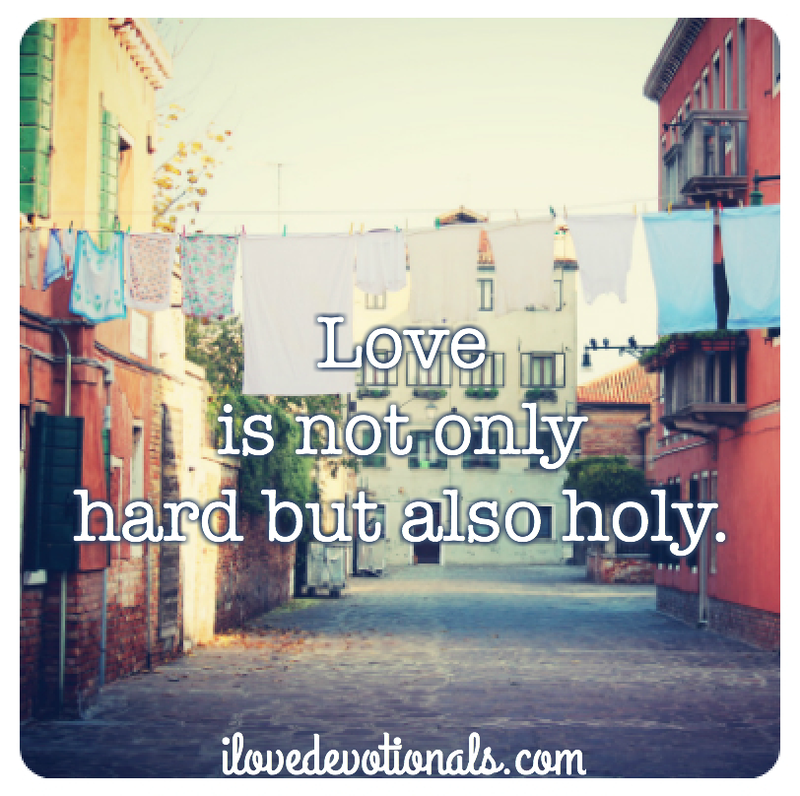 Ponder: Do you believe that love always perseveres? Prayer: Jesus, thank you for always loving me. This post originally appeared on Spiritual Glasses in May 2013.